Our trip was in jeopardy. 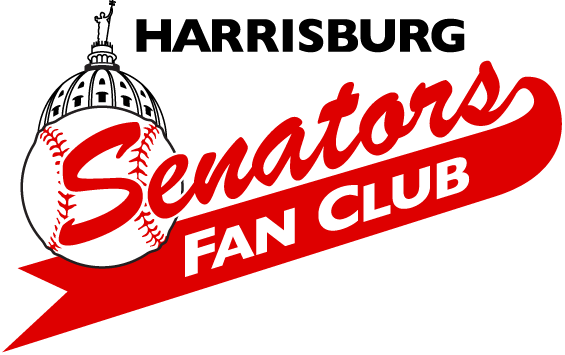 A dozen Senators Fan Club members wished to spend a late August weekend in Syracuse. We wanted to spend time with former Senators and see them clash with the Lehigh Valley Iron Pigs. We wanted to savor Dinosaur Bar-B-Que before Saturday’s game. We wanted to relax in the sunshine during Sunday’s game before coming home. With only 12 confirmed passengers, a full-size or even a small bus wasn’t an option. In a moment of weakness (I have plenty of those where baseball is concerned), I volunteered to rent a van and play designated driver. I made arrangements for a 15-passenger van. Hotel and game tickets were secured. This trip was going to roll north on Saturday morning, August 20th. I learned a few important lessons on this trip. Lesson #1: a 15-passenger van is the largest vehicle one can drive without a CDL. Lesson #2: 12 passengers, their overnight bags and a cooler of water fit comfortably in a 15-passenger Ford Econoline van. Lesson #3: the air conditioning works great; plus, there’s a separate control for rear passengers. We roll up I-81 and make our first pit stop near Hazleton. (Lesson #4: there’s no bathroom on a 15-passenger van.) The newer Burger King offers a full menu and crowns. John Bricker thought I should wear one while driving so he brought one along. After single lane construction slowed us in northern PA and north of Binghamton, NY, we roll into Dinosaur at our expected time. We’re all seated together in the back and enjoy some fine barbecue pork, brisket and chicken with all the fixins. From Dinosaur dinner to our hotel. Lesson #5: it costs a dime to go a quarter mile on the New York Thruway … at least this particular stretch. After we get checked in and deposit things into our rooms, it’s time to leave for NBT Bank Stadium. We’d been here four years ago, but it seems somewhat newer. After climbing the familiar stairs, I spot the updated scoreboard, a variety of food and beverage vendors, Star Wars Night attire, Chiefs’ jerseys for charity, and a whiteboard scorecard with the Chiefs’ starting lineup. All but Matt den Dekker passed through Harrisburg. I stroll the concourse until meeting the dead end in each direction. Professional baseball is alive and well in Syracuse. Tonight’s game proves that. A back-and-forth affair features Darin Ruf both at bat (3-4, D, HR, 3 RBI, 2 R) and with a stellar defensive play. Brock Stassi (LV) and Jason Martinson (Syr) each slug their 11th homer of the season. Brian Jeroloman collects a single. Michael Taylor strokes a 2-out, 2-run single. Matt Grace closes the door in the 9th to earn his first AAA save as the Chiefs win, 6-5. Just left of third base, we greet former Senators and Manager Brian Daubach. John Bricker keeps score. When John sees another fan with an ice cream cone, he asks whether I will continue while he retrieves his frozen delight. After the game, we settle in for a fantastic fireworks display. Three of us take home jerseys from the silent auction. Two in our group forego the van ride to enjoy a late dinner with players. Another dime later, we’re departing the van and eager to discuss the day’s events. One event we’re not looking forward to? 100% chance of precipitation starting at noon tomorrow. Sunday’s game is in serious jeopardy. As we scatter for breakfast at different times and places, the rain begins to fall. It comes down harder and doesn’t abate. As a group, we decide to get an early start for home. Before we’re out of Syracuse, Fran announces that the game has been rained out. It’s still 90 minutes until first pitch. That’s how hard it was raining. The rain stayed with us through the construction on both sides of the state line. We’d see on occasional small patch of blue sky, which would quickly pass into more heavy rain. Finally, the rain stopped as we made our scheduled dinner stop at Wilkes-Barre. Only one more construction zone to maneuver. Lesson #6: your humble van driver can take you around any backup in the Tower City-Pine Grove area. Warning: your scenery may include old mining territory, narrow winding roads and deep woods. But I think it was a fun distraction from hours of Interstate 81, heavy summer weekend traffic and rainfall. Bottom line? We all had a great time and made some new baseball memories together. In fact, that brings us to our final lesson for today: we started planning for more trips in 2017.